Hunters, tourists and residents are contributing to Arctic research as citizen scientists. Although their numbers remain small for now – they will grow – and their efforts expand the reach of what researchers might access in the Arctic in both time and range. One of the first examples of citizen science is well over a century old. In 1900, Audubon launched its inaugural Christmas Bird Count, an event that now inspires thousands of Americans to spot birds in their neighborhoods. Since then, “amateurs,” “non-scientists” or “citizen scientists” have joined other projects, too, and have collected nesting data for the Cornell Bird Lab, tracked near-earth asteroids for OSIRIS-REx and recorded the last ice of the winter season for iSeeChange. In the Arctic, citizens, tourists and workers are also offering their time. Making the most of these citizen scientists and their enthusiasm could bring an abundance of data to researchers who can’t always reach these places, due to the high cost and duration of travel, but who want to understand the many ways the Arctic is changing. Tourists could become a huge boon for future Arctic observations. Lauren Farmer, a marketing expert and photographer, and Alex Cowan, a geologist, are contractors who work for several polar expedition companies. 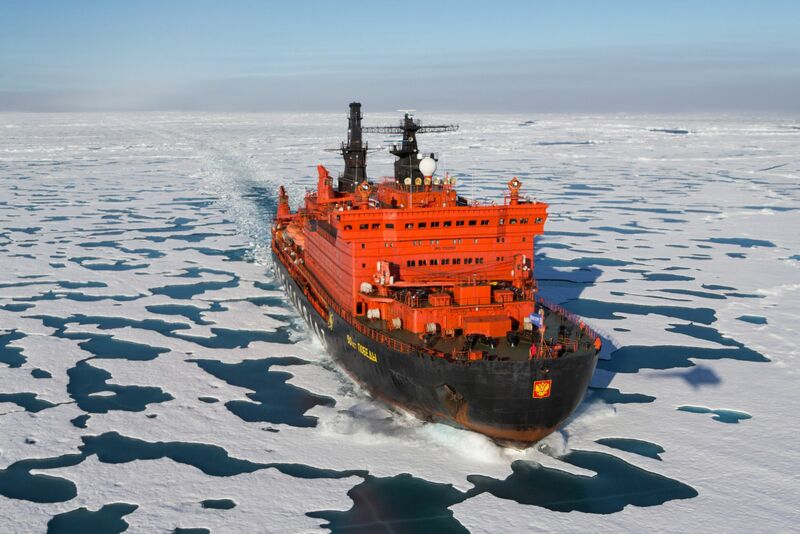 Eager to add science to their employers’ excursions, they contacted Jennifer Hutchings, an Arctic sea ice specialist at Oregon State University, about Ice Watch, a collection of sea ice observations recorded by ships in the Arctic. The software, called ASSIST (Arctic Shipborne Sea Ice Standardization Tool), which Hutchings and other Arctic ice scientists had built for the project, contained reporting protocols that anyone could use. Farmer and Cowan used it on their next Arctic cruise with Poseidon Expeditions, a Russian polar tourism operation. 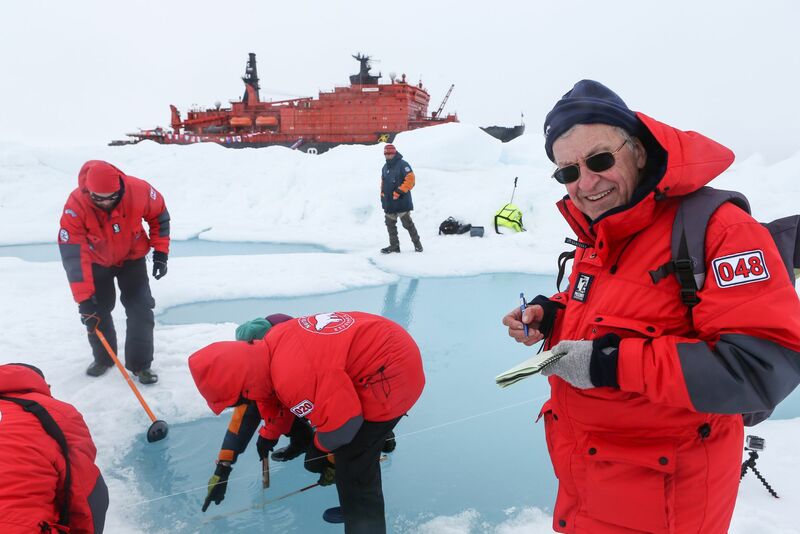 They recruited clients to make sea ice observations every four hours from the ship’s deck as they sailed from Murmansk, Russia, to the North Pole under the summer sun. “There are a large number of people aboard [one ship], 130 say, and if five to 10 people are interested, we let them know it’s available,” Cowan says. Although data from the first cruise had to be scrapped, they nailed the process on several subsequent cruises to the North Pole. In the end, they reported ice data from four transects in July and August, capturing the whole melt season, which were incorporated into sea ice predictions for the end of the summer in an international modelling effort, according to Hutchings. “We’ve been told we were the only ship collecting sea ice data on that side of the Arctic Ocean,” says Farmer. The ASSIST program works using dropdown menus that prompt users to input specific types of information. The citizen science team also uploaded photos and videos of ice walls. The images let researchers verify the collected data with a visual confirmation for quality control. Ice Watch data is openly available to scientists and the shipping industry alike, which means shipping companies and cruise lines are looking at the findings with interest. At the moment, most researchers from the U.S. cluster in the Beaufort Sea, Hutchings says, close to the western entrance to the near-mythical Northwest Passage. Other polar cruise companies have also expressed interest in hosting science activities onboard their ships, Farmer says. She and Cowan are members of the Polar Guides Citizen Science Collective, a closed group on Facebook with more than 400 members working in the polar tourism industry. “The citizen science angle is new to the industry,” says Farmer. “Right now it’s at the grassroots level. For the Facebook group, people in industry gather to swap ideas. We want people to be talking about it.” Even competitors are collaborating on projects, much the same way their vessels work together on the water. A whale-tracking program called Happy Whale that has enjoyed success in the Antarctic will take place in the Arctic for the first time this year. “In the Antarctic, we’ve received over 2,500 images so far in our first season [there],” Ted Cheeseman, of Cheeseman’s Ecology Safaris, writes in an email interview. “We photographed this whale in Franz Josef Land in 2012, a whale that had been seen once before, back in 1982 over 8,000 kilometers (4,970 miles) away.” The data of these sightings will be used for scientific assessments of species’ recovery due to conservation efforts and limits on whaling. Tourists pay a lot of money to travel to the Arctic for a once-in-a-lifetime visit. They become invested in the place and may become “ambassadors” for the region, believes Farmer. At the very least, they are eyewitnesses to the changes occurring there. Ice is not the only thing changing in the Arctic, as witnessed by the Local Environmental Observer (LEO) network in Alaska. Aaron Merculief, the environmental manager of the St. George tribal council, and a LEO member, heard reports from his community that coastal waters had turned red. He took samples, then looked at them with his daughter’s toy microscope and verified that something living had produced the drastic change in color. The community sent samples to the Woods Hole Oceanographic Institution in Massachusetts and gathered input from scientists at other organizations who consult for LEO. The concluson: harmful algae had caused the red tide, the first in the community’s memory, as waters had increased in temperature. Through LEO and the group’s online mapping app, Alaska residents can report odd sightings – dead eagles along shorelines, unfamiliar insects and more. The network has plans to expand to other Arctic communities. Hunters have also reported shifts in ice patterns and changes in the timing of whale sightings and other prey to LEO. As ice patterns change, some communities have said they are hunting in fall for the first time in living memory, according to the 2015 human health report from the Arctic Monitoring and Assessment Program (AMAP). AMAP accepts traditional ecological knowledge in its work, as does the Arctic Research Consortium of the United States (ARCUS). ARCUS just released a report on the value of community observations in the Arctic, or “Local and Place Based Knowledge” that may or may not include traditional knowledge. Researchers working in the Arctic collaborate with hunters to get samples, from rock ptarmigan caught in Longyearbyen to blood and tissue samples from whales and seals in Alaska and even polar bear hair, skeletons and organs in East Greenland. 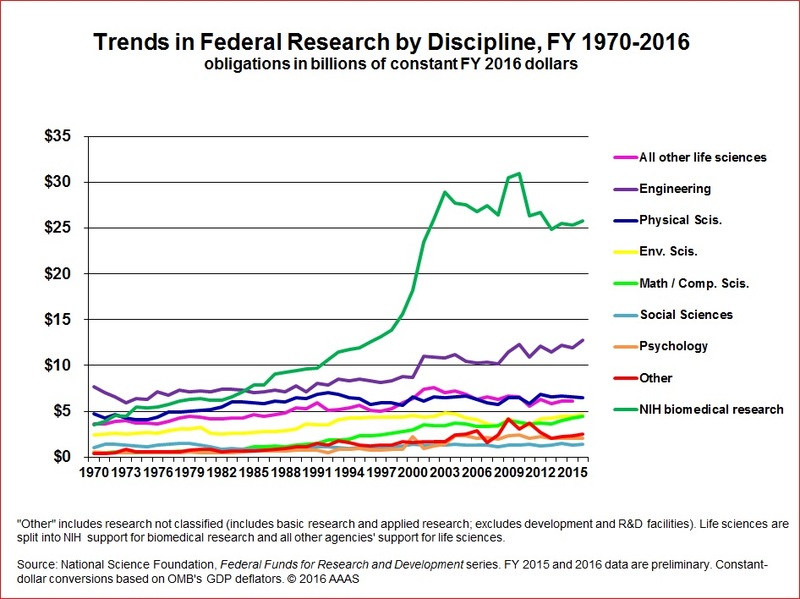 But citizen scientists don’t have to be located in the Arctic to examine trends there. In 2012, Kevin Wood, a climate researcher at the University of Washington and the National Oceanic and Atmospheric Administration, and his colleagues established the citizen science project Old Weather. Volunteers transcribe ship logs from the 1800s and 1900s that cannot be read digitally. When several participants transcribe the same text they achieve 99 percent accuracy, says Wood. Interest in the region – beyond the Arctic’s importance to the planet’s climate – is high: Canada will open a new Arctic research station in 2017 and other Arctic nations, such as Russia, Norway and Greenland, have a keen interest in fisheries, sea ice and weather predictions and more as climate change affects the region. Naomi Lubick is a freelance science writer based in Stockholm, Sweden. Naomi Lubick is a science writer based in Stockholm, Sweden. She writes about environmental and earth sciences, and her work has appeared in New Scientist, Earth and other media.